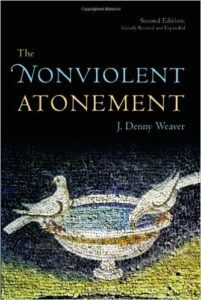 July’s book of the month for our annual reading course is The Nonviolent Atonement, Second Edition by J. Denny Weaver. I have met Denny. I spent a morning, a few years back now, just Denny and myself, in a coffee shop in Madison, WI. His work in helping his own tradition (Mennonite) hold on to their peace teachings and their ethic of nonviolence and conflict resolution is immensely valuable. 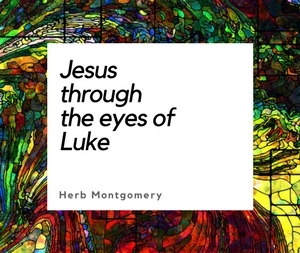 In this volume he applies that same effort to understanding the death and resurrection of Jesus within the context of that nonviolence. In this book Denny also dialogues with Black, Feminist, Womanist theologians as well as the defenders of a theory of atonement whose adherents too often see wrongs as something to be violently punished rather than corrected and righted. This book came at a pivotal time for me in my own understanding of nonviolence. It is with great pleasure that we add it to our 2016 line up. “A provocative study that cuts to the very heart of Christian thought, The Nonviolent Atonement challenges the traditional, Anselmian understanding of atonement ― along with the assumption that heavenly justice depends on Christ’s passive, innocent submission to violent death at the hands of a cruel God. Instead J. Denny Weaver offers a thoroughly nonviolent paradigm for understanding atonement, grounded in the New Testament and sensitive to the concerns of pacifist, black, feminist, and womanist theology. 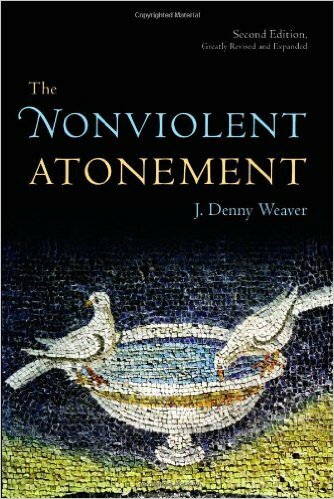 While many scholars have engaged the subject of violence in atonement theology, Weaver’s Nonviolent Atonement is the only book that offers a radically new theory rather than simply refurbishing existing theories. Key features of this revised and updated second edition include new material on Paul and Anselm, expanded discussion on the development of violence in theology, interaction with recent scholarship on atonement, and response to criticisms of Weaver’s original work. If you use Amazon, please consider supporting the work of Renewed Heart Ministries through Amazon Smile and selecting Renewed Heart Ministries as your Charity at no additional cost to you.